November 27, 2009 | We took a morning flight out of Bocas del Toro back to Panama City. 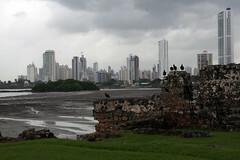 After checking in to our hostel (we had a private room with a private bathroom), we took a cab to Panama Viejo to see the ruins of Old Panama City. 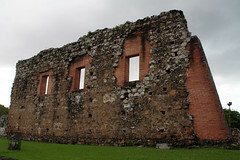 After going through the museum (there were some English-speaking guides as the museum is completely in Spanish), we continued outside to see the ruins. 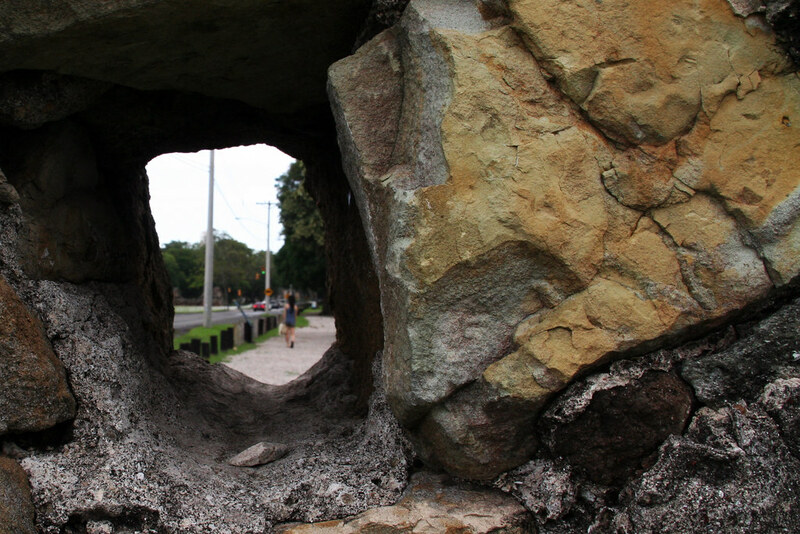 Through the remains of an old building, you can see the blur that is my sister walking down the sidewalk. The area outside of the ruins is supposedly a bit sketchy so we didn’t wander outside of the area. Some of the ruins have had some additions for some structural support. 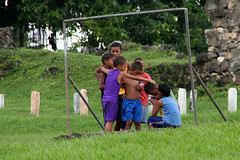 I also snapped a shot of some local kids playing across the street (that’s not creepy, right? ).